As we get older, we have to think on our feet as our skin changes, and our skincare regimen has to adapt. So how should we look after our skin as we age? Huffington Post has some excellent advice regarding strengthening, protecting and hydrating. Why is it important to care for mature skin? It’s important to remember that skin at every age in our lives requires care and attention. Even “mature” skin has years ahead of it, as well as specific needs that can be addressed starting today to ensure its vitality and health over the long term. Look at strengthening your skin against daily environmental aggressors and harmful free radicals. What are the steps to care for mature skin? A daily ritual should start with cleansing and toning, a serum for an intense treatment with concentrated ingredients that get into deeper layers of the skin, followed by a facial moisturizer and an eye cream. Sometimes mature skin can be drier and might benefit from a dry oil which you can add to a moisturizer. A dry oil helps to seal the moisturiser into the skin to keep it where it’s designed to be working longer and more efficiently and it also helps to strengthen the skin’s moisture barrier to keep external aggressors at bay. What are the most common mistakes people make with skincare? One of the biggest mistakes I come across, is not giving skin a thorough, proper cleansing. It is one of the most important and often overlooked steps in anyone’s skincare routine. You’ll want to thoroughly cleanse your skin so that any of the leftover makeup, dirt or debris from the day is rinsed away, leaving a clean surface for the deep treating skincare products to penetrate. When you’re focusing on all things hydrating, Dr. Spiller Alpenrausch Organic Vitalizing Hydro Gel is a great place to start. 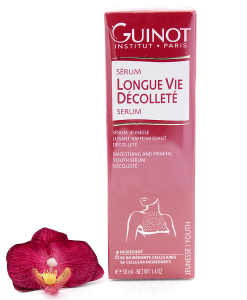 This is a cooling and concentrated gel to strengthen and hydrate the skin. 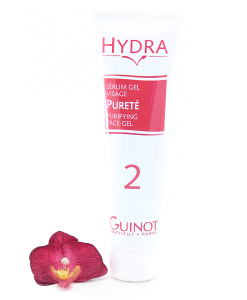 With its water base, this gel is ideal for dry, dehydrated and mature skin. 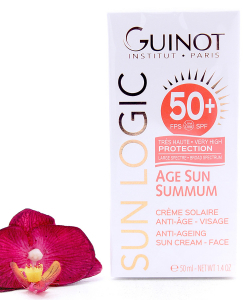 This product is an energising and intensive care gel to provide long lasting protection and hydration. The strengthening properties of Hyssop, Linden Flower and Gentian provide the skin with resilience and Hyaluronic Acid provides the skin with sustainable hydration. This entry was posted in Anti Aging, Dr Spiller, Mature skin, Moisturisers and tagged Dr. Spiller Alpenrausch Organic Vitalizing Hydro Gel.